A good friend of mine attended one of your presentations at the Norths Camera Club. He took some notes of your presentation and on sent them to me. I read these with keen interest and was intrigued by one of your thoughts'- to "Learn to draw with a pencil and charcoal". When you have time, I was wondering if you could shed some light for me on this thought of yours and how this activity can impact on my photography. As well as an accomplished photographer I am a trained and experienced art teacher. My major at art school was photography while my minor was the beautiful art of lithography, a printmaking process based on drawing with grease pencils and beautiful black inks. Learning to draw taught me how to see and how to compose. Firstly it has to do with learning to see. Just as photography is a lesson in learning how to see, so too is drawing. Each discipline will teach you something different. Drawing will teach you how to see. The best photographers can really see. So my suggestion is simple. Put a huge effort into learning how to see. 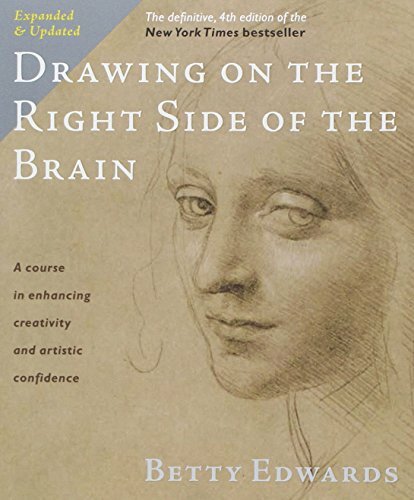 The best text on how to do this for the beginner is Betty Edwards, Drawing on the Right Side of the Brain. The only better way is to find a great drawing teacher, mind you they are hard to find in my humble opinion. One of her secrets is learning to switch off the left logical part of the brain that controls what we think we see. We need to really look, and not imagine what we see. An exercise she uses with great success is to turn the object you are drawing upside down (a chair for example) and so you draw what you are seeing and not what you are imagining. The amazing thing is that when you do this exercise you will instantly see a better result in your drawing. It is like someone turned on the light for you. Before you know it, you will drawing the ground, around the figure with grace. This is the same reason that photographers love large format cameras for composition. Seeing the image on the ground glass, back the front and up side down, helps distance our logical minds from the what we imagine we are seeing, and really look at the shapes and composition. Do you know when I am giving feedback to my photography students I examine each photograph upside down before I make any comments. When you learn to draw you learn to draw using the negative space. You actually measure and concentrate on the negative space. You slowly learn to compose the negative space. As your drawing develops, so will your ability to see, to observe. Taking this to the next step is learning to draw in charcoal, a beautiful medium. One that requires you getting your hands really dirty. Wear old clothes and really immerse yourself in the drawing. Drawing in charcoal is about loosening up, using more than just your hand, but using your whole body to draw. Best done at an easel standing. Drawing is about connecting with your artwork with your whole body. Charcoal is a beautifully dense black. Once you have have the basics of line, the next learning is about tone. This is where charcoal really shines. You can easily and quickly block in areas of beautiful tone with charcoal. Learning how to see the tones and learning how to compose the tones will really help your photography. As I have said previously "Tone trumps colour". Did you know that artists when they are fleshing out a painting start with a huge wide brush and a dark tone and put them down first. We don't start with a line drawing. We start with the tonal composition. A good trick in learning how to see tones is to squint your eyes. Shut off the cones and go with the rods that work well in low light, we do this by reducing the amount of light to our eyes. Squinting does this quickly. My last point, is about another similarity between drawing and photography besides the obvious 'drawing with light' with which the term photography is derived. Is that you are usually working on a flat two dimensional rectangular piece of paper. Usually, I say clearly, as you can draw in other shapes, just as you can photograph in other shapes. This similarity is fantastic to work with as the similarities in good composition in a photograph and in a drawing are so similar, each benefits from the other. So learning to draw will help you learn how to see better. Learning to draw in tones will help you with your composition. John, I hope this helps explain what I was thinking when I said that at the presentation.